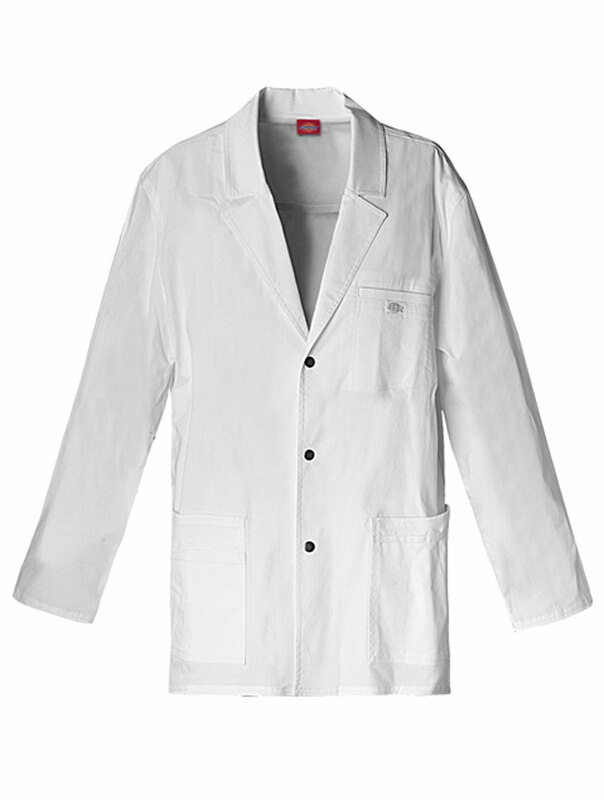 A Men's fit utility lab coat features a snap front closure and multi-needle topstitching. 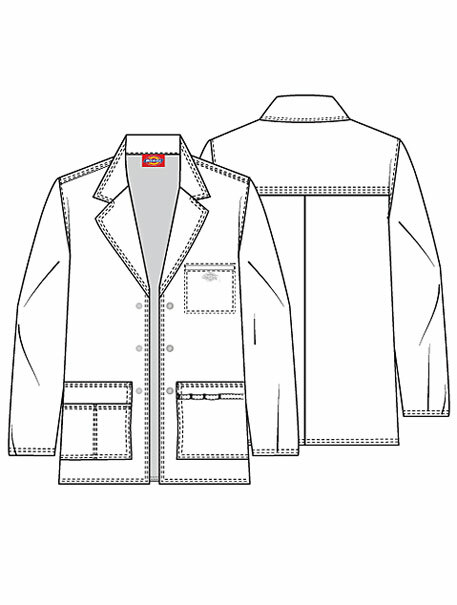 Also featured are five pockets including two patch pockets, a chest pocket, a cell phone pocket and multi-sectional pockets, and a utility loop,a back yoke and a kick pleat for extra movement. Center back length: 31".